Brown crumbles in chili pot along with the onion, pepper, and garlic. Add all other ingredients, except beer. The beer should be added about 1 hour before done. Simmer on lowest setting for several hours in enamelware type pot or can use crock pot on low. 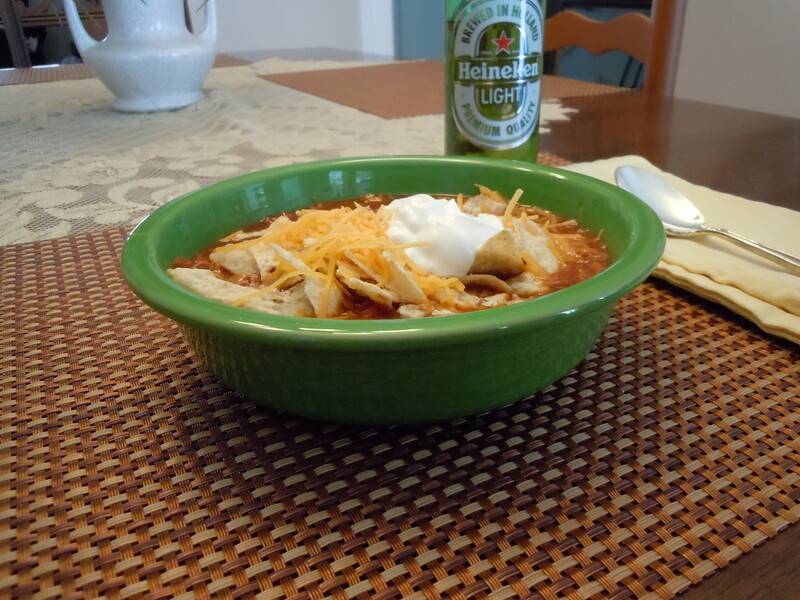 Top with tortilla chips or strips, cheddar cheese, green onions, sour cream, or desired toppings. ← Snow In the Mountains.